Our showroom and studio is based in Chiddingfold, Surrey, a quintessentially English village that’s been our home for the last 10 years. 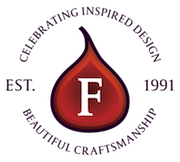 If you are considering a project, please feel free to get in touch with us by calling 01428 686500 or emailing designers@figura.co.uk, we’d be delighted to discuss your ideas. And if you’d like to visit us, our address is below. You’ll be very welcome.